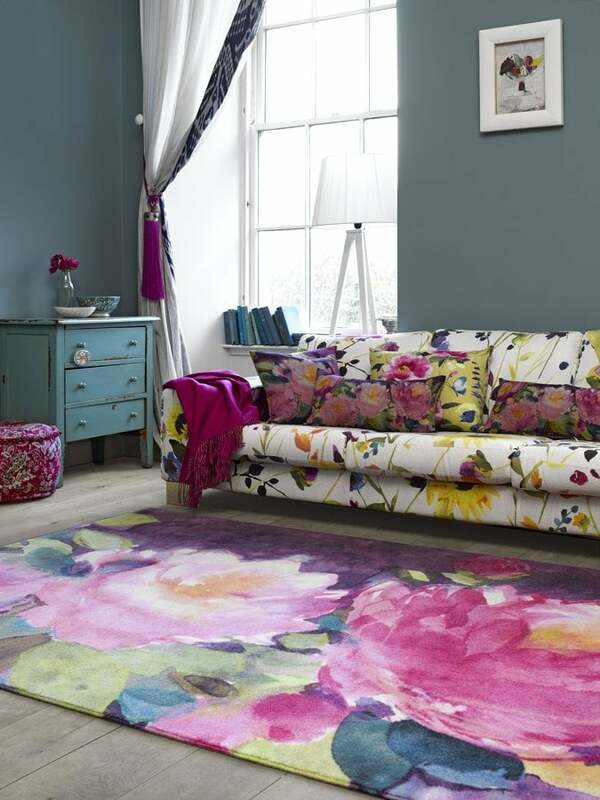 They are super excited over at bluebellgray studios, and so they should be with launch of their first wool rug collection this coming Spring Summer 2013! These wool rugs are not only gorgeous, with a great range of colors to go with most color schemes, but they are modern rugs in every sense. Their designs are fresh and versatile. Fi’s signature hand painted watercolor designs are captured in these new floral rugs. The watercolor designs offer abstract designs to make these area rugs look great in almost any room. The wool rugs come in a range of color palettes that can work easily with many color schemes and themes. It's not all flowers; there are also plain colored wool rugs for those with simpler tastes or decor. Bluebellgray's rugs are elegant. There is a certain texture and interest that these rugs have, a sort of classic timelessness that makes them a great addition to any room. But they are modern rugs; flexible and practical. The beautiful designs are an added bonus. Wool rugs may not be new but these rugs are the first in the world to be digitally printed onto wool, using cutting edge technology. The oversize watercolor brushstrokes make a beautiful design statement, don't you think? 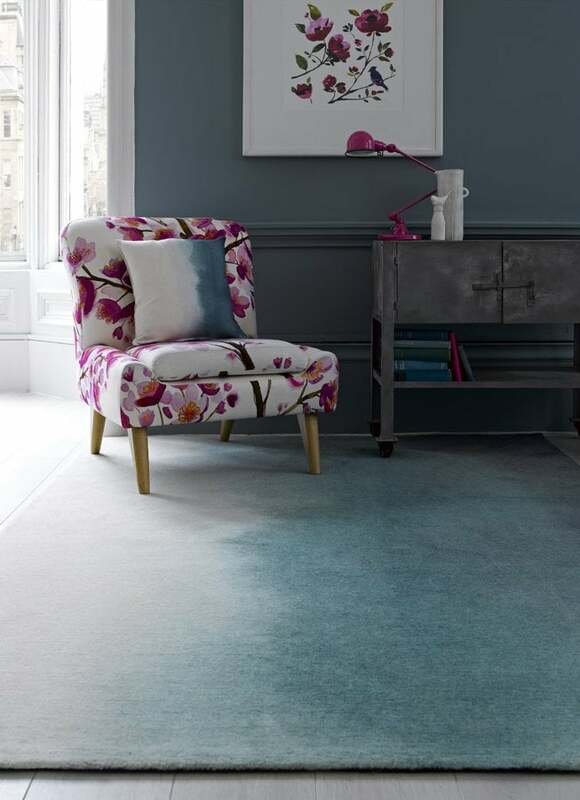 The wool rug above looks perfect in this softly blue painted room, painted floorboards and floral fabric armchair. 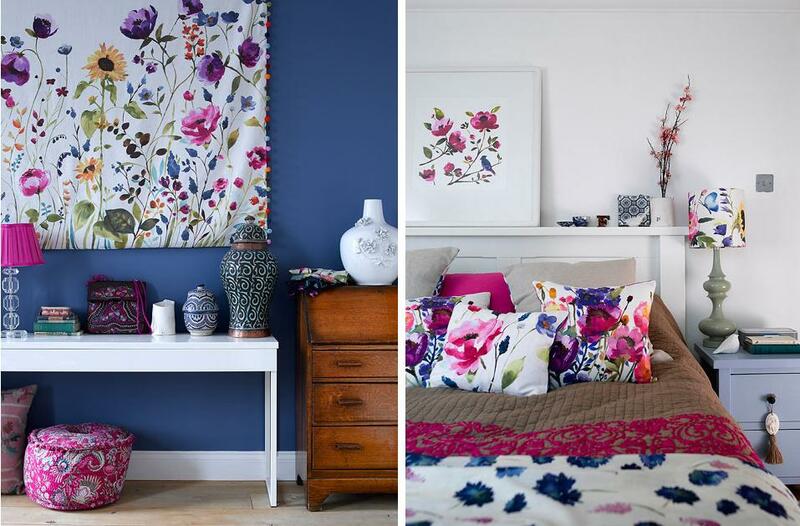 Decorated Life first mentioned bluebellgray in a post Floral Wallpaper and Floral Fabric – Decorating with Flowers. 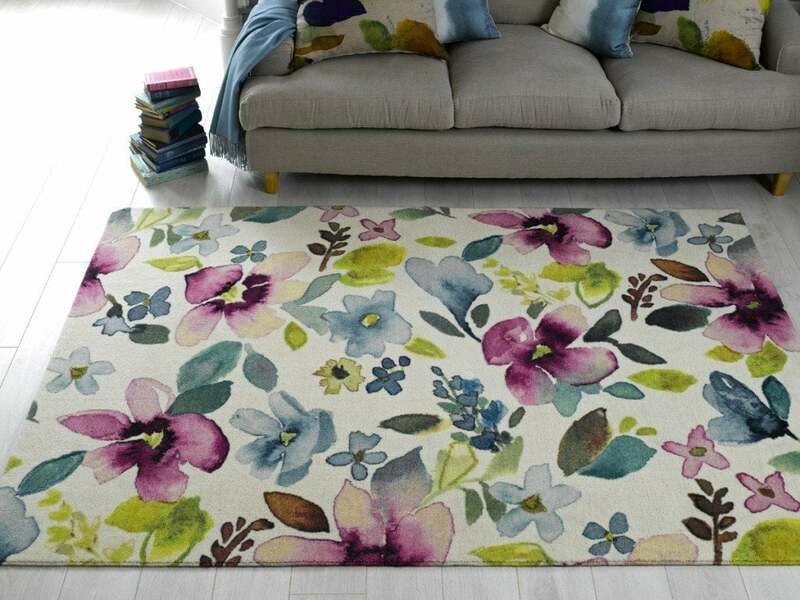 The new wool rugs are an extension of their existing range or floral designs. If you have found an article, video or how-to story you would like to share you, do it on Armchair Exchange - it's like Digg for Decorating! Thank you so much for writing in. You have selected a very beautiful rug! About the rug; I'm not sure if they still manufacture the rug you are interested in. That particular rug was manufactured in 2013. I believe they ship to the US, so I hope you can find a rug you love!